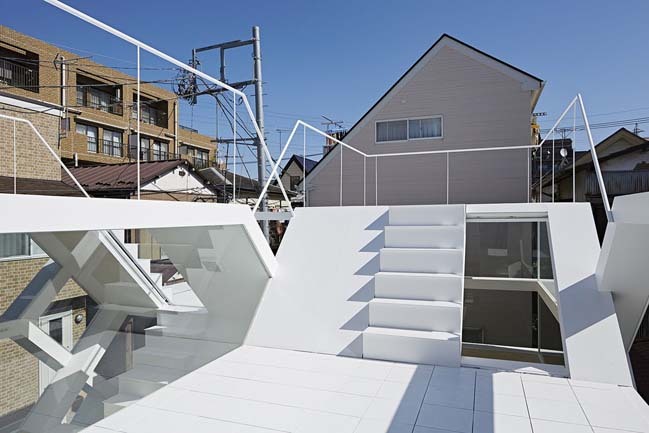 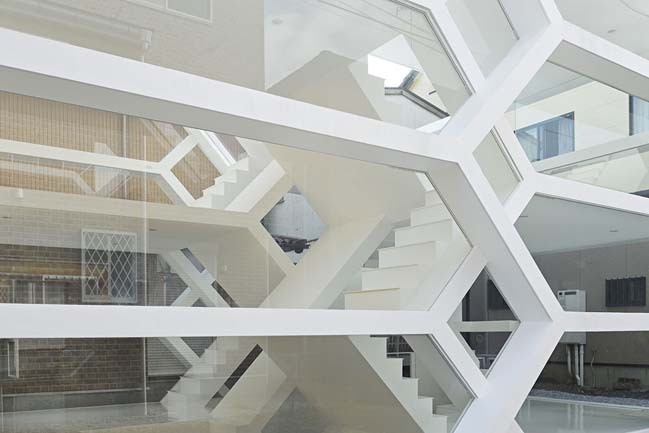 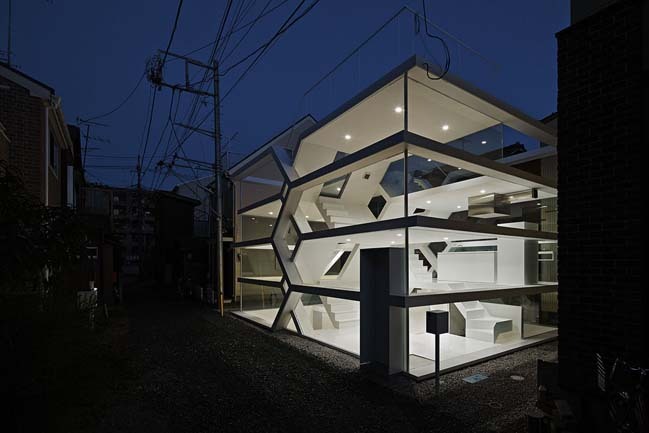 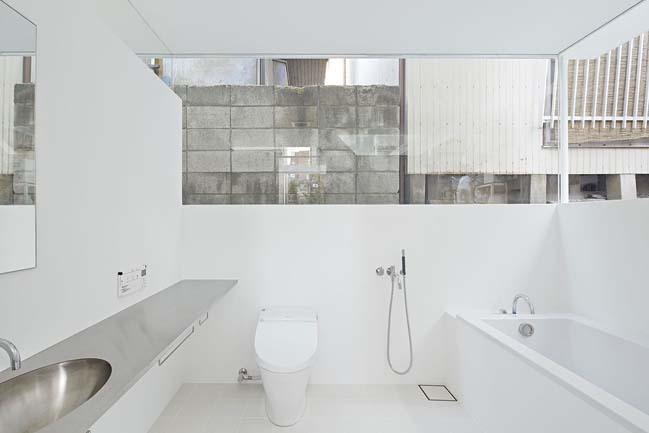 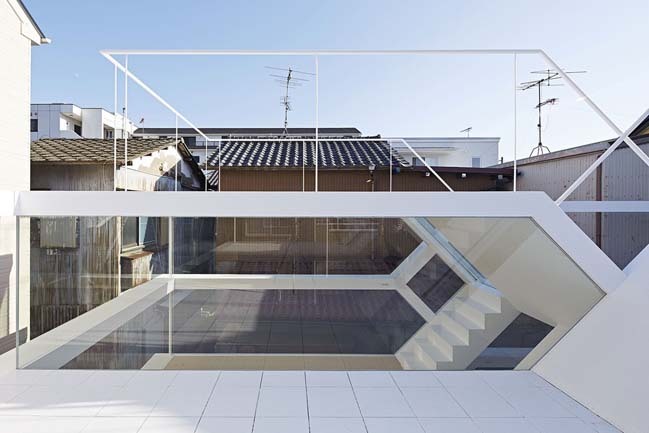 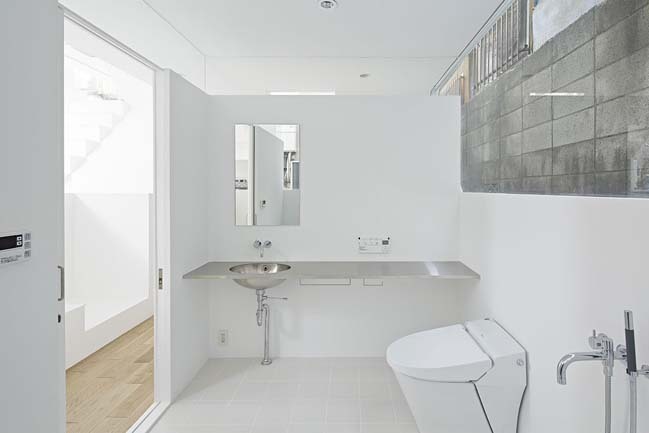 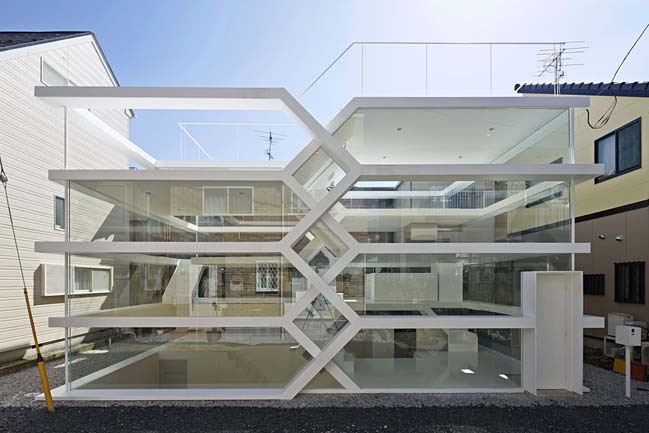 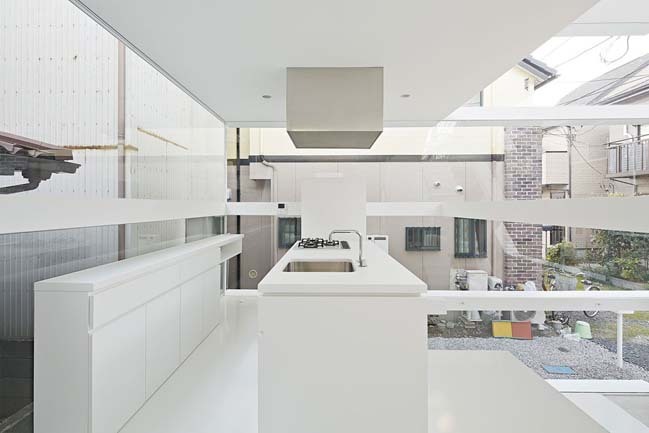 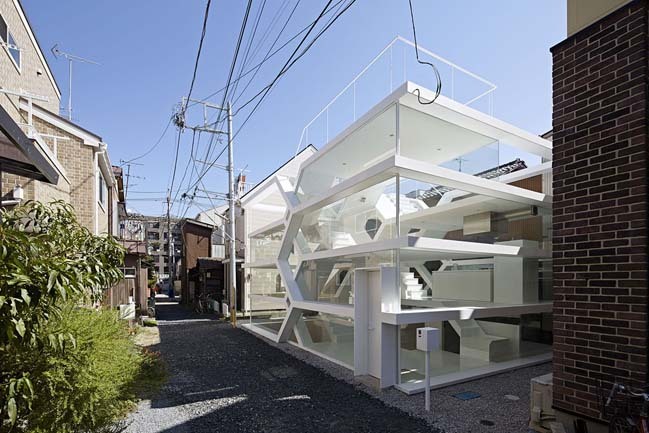 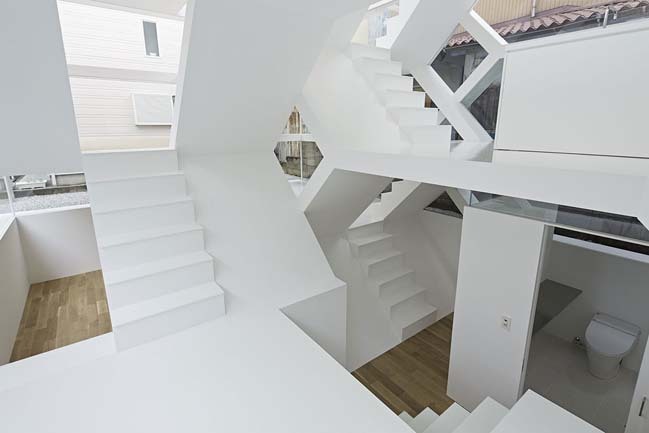 S House is a stunning townhouse located near Omiya Station in Saitama, Japan. 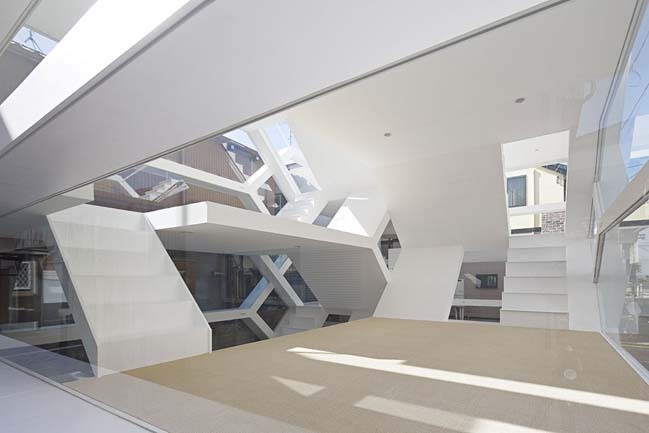 The house was designed by Yuusuke Karasawa Architects that surrounded by glass walls and has amazing architecture in modern style. 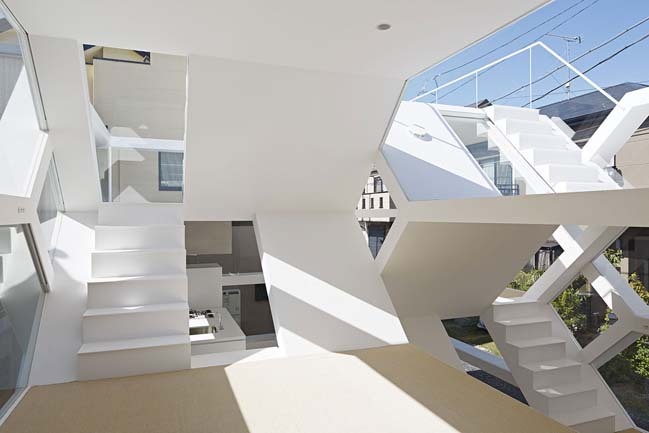 Architect's description: Two 50m2 floors are cross over in two levels on a site that measures around 100 m2. 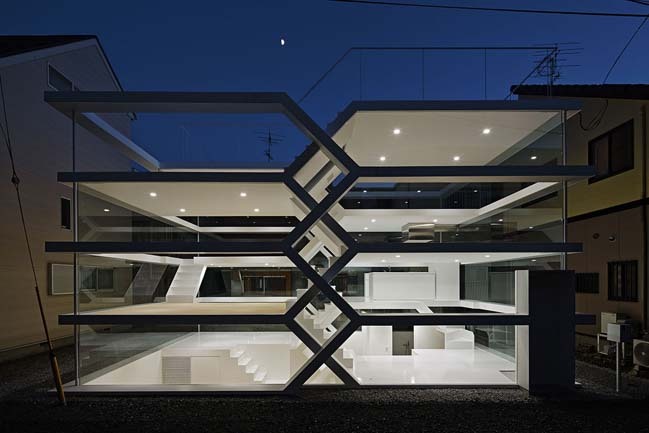 Each level is quartered, two opposing floors of which are elevated. 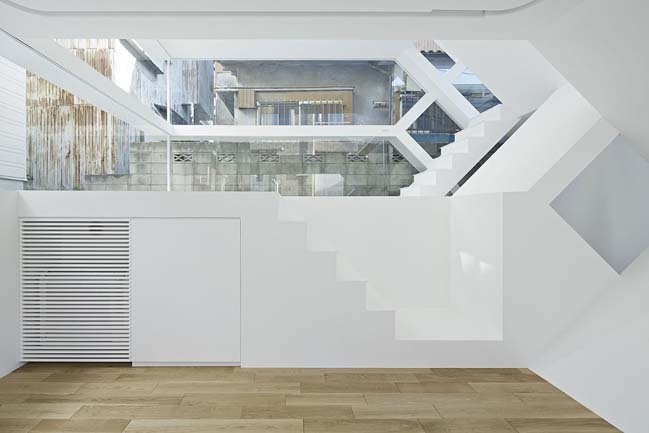 The eaves surrounded at the middle of the ceiling height of the other two floors intertwine with the elevated floors, creating a space characterized by a complex network. 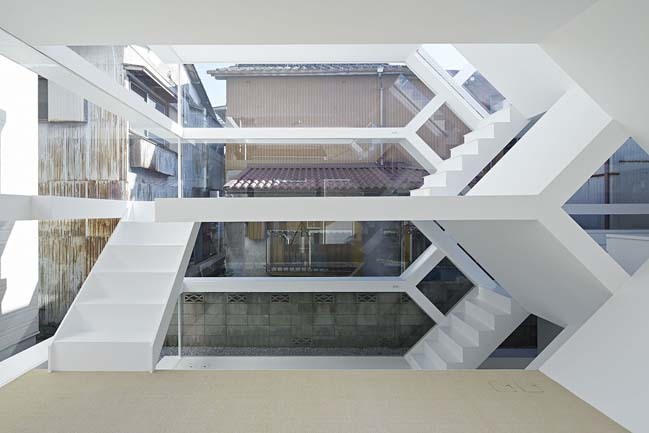 The elevated floors of the two levels continue to a diagonal wall, as well as to the floors above. 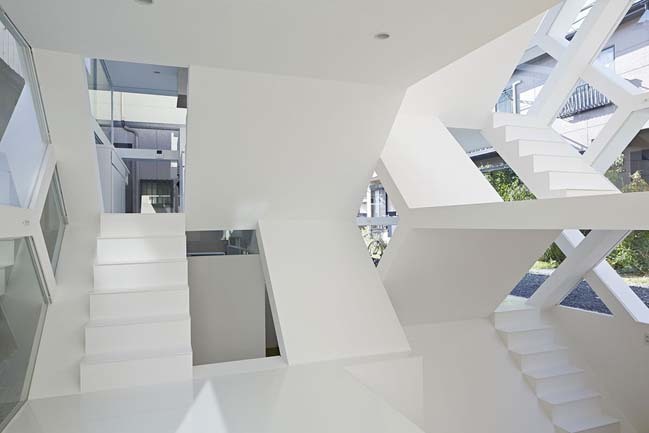 The floors branch out again to continue above, staggering against the exterior eaves to compose a uniquely intricate elevation. 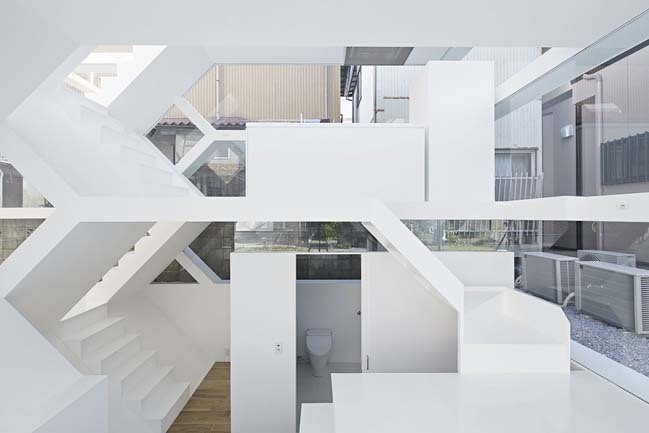 This complicated structural logic is applied not just in the elevation but throughout the interior space as well, where the floors themselves entwine diagonally, with a void that looks out to the opposing space created at the center of this complicated floor. 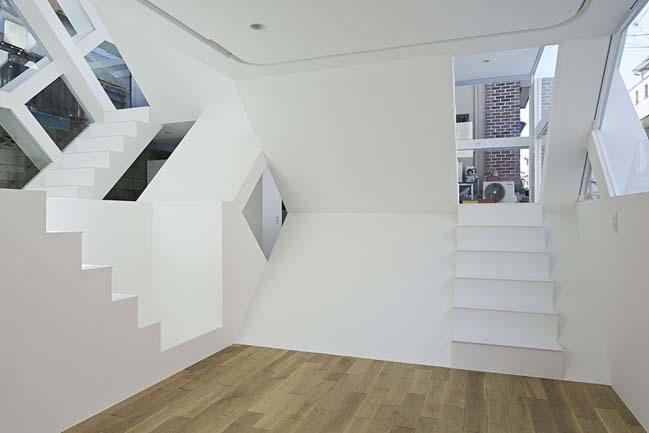 Although this opposing space seen from the void appears to continue visually, one can only arrive at it by traveling through the complicated levels, and taking a drastic detour after moving to a different floor.